Make a LOUD impact with the new range of Town Hall Symphony Hall Musical PINstruments. From the piano to the drums, trumpet to the violin; these enamel pin badges will jazz up your lapel or tote bag and demonstrate your love of music. These badges went down a storm at the recent Birmingham Civic Society reception at Symphony Hall, with all designs coveted by influential figures in the city. Buy your favourite PINstrument from Symphony Hall's Gift Shop on your next visit! 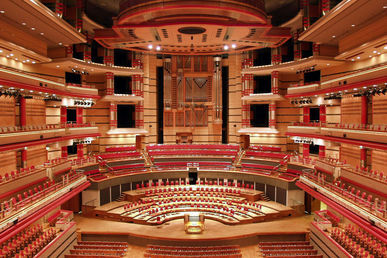 Every PINstrument purchased enables Town Hall Symphony Hall to connect over 15,000 young people to music and the arts across the West Midlands every year – thank you! Want to contribute a different way? Donate online, or call our Development team on 0121 644 5007.